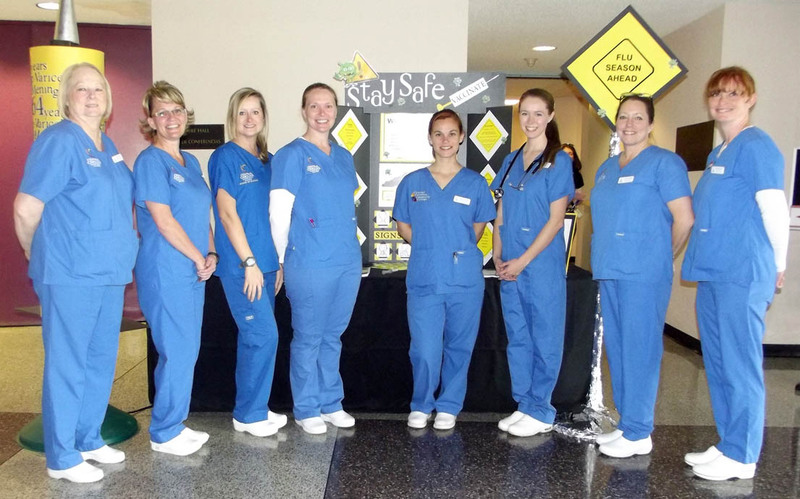 These Central Carolina Community College nursing students - Vickie Edwards, Denise Byrd, Julie Talley, Amanda Tanner, Stephanie Welton, Elizabeth George, Dawn Gregory, and Shelly Stockton - greeted visitors to the "Stay Safe Vaccinate" booth at the Lee County Schools/Central Carolina Community College Employee Health & Benefits Fair on Nov. 4 at the Dennis A. Wicker Civic Center in Sanford. For more information on the CCCC nursing program, call 919-718-7461 or go to the college website at www.cccc.edu. 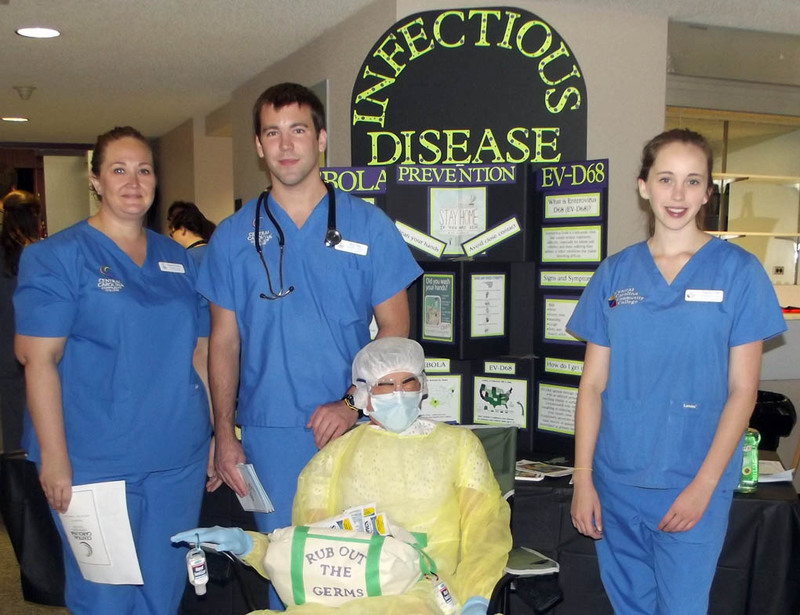 These Central Carolina Community College nursing students - Shannon Burrous, Brian Rupp and Natalie Giles - greeted visitors to the "Infectious Disease" booth at the Lee County Schools/Central Carolina Community College Employee Health & Benefits Fair on Nov. 4 at the Dennis A. Wicker Civic Center in Sanford. For more information on the CCCC nursing program, call 919-718-7461 or go to the college website at www.cccc.edu. 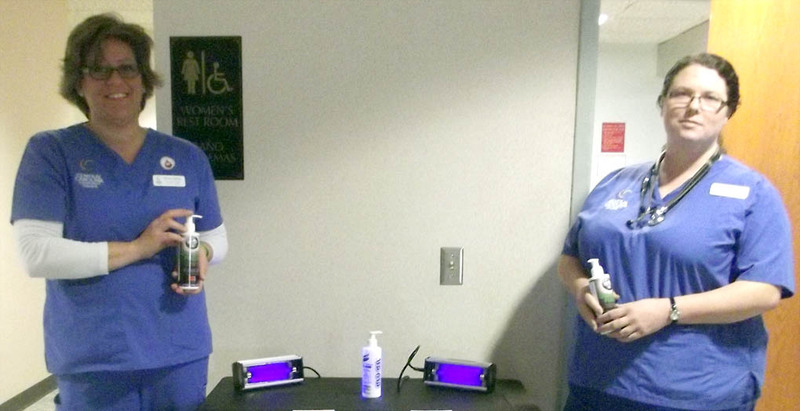 These Central Carolina Community College nursing students - Kristin Ostheim and Brittany Phillips - shows visitors how to check for germs on their hands at the Lee County Schools/Central Carolina Community College Employee Health & Benefits Fair on Nov. 4 at the Dennis A. Wicker Civic Center in Sanford. For more information on the CCCC nursing program, call 919-718-7461 or go to the college website at www.cccc.edu. 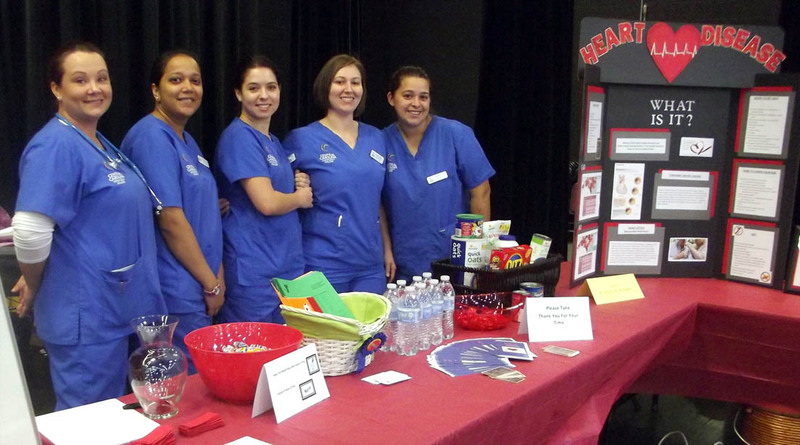 These Central Carolina Community College nursing students - Joni Williams, Mallika Patel, Karen Wakefield, Jessica Dudley, and Michelle Page - greeted visitors to the "Heart Disease: What Is It?" booth at the Lee County Schools/Central Carolina Community College Employee Health & Benefits Fair on Nov. 4 at the Dennis A. Wicker Civic Center in Sanford. For more information on the CCCC nursing program, call 919-718-7461 or go to the college website at www.cccc.edu. 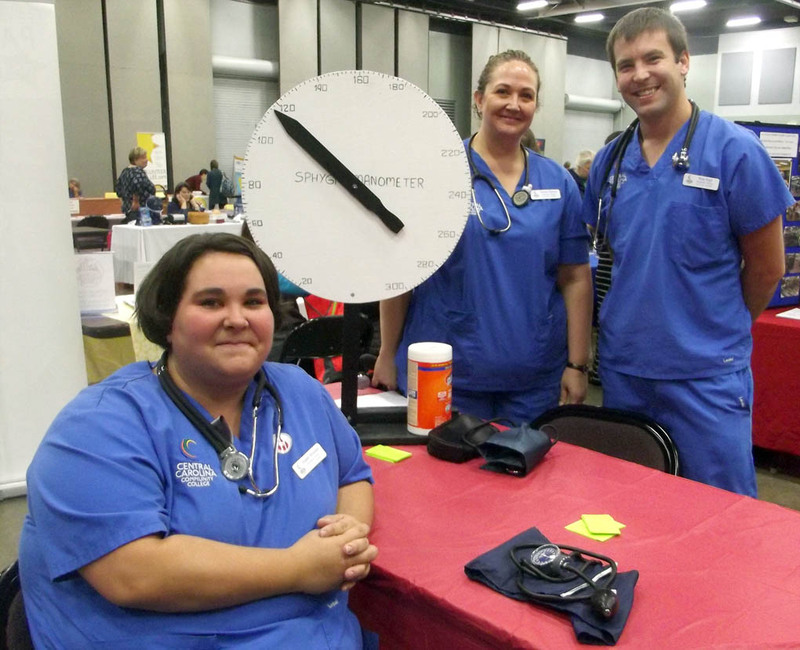 These Central Carolina Community College nursing students - Heather Strickland, Shannon Burrous and Brian Rupp - checked blood pressures at the Lee County Schools/Central Carolina Community College Employee Health & Benefits Fair on Nov. 4 at the Dennis A. Wicker Civic Center in Sanford. For more information on the CCCC nursing program, call 919-718-7461 or go to the college website at www.cccc.edu. 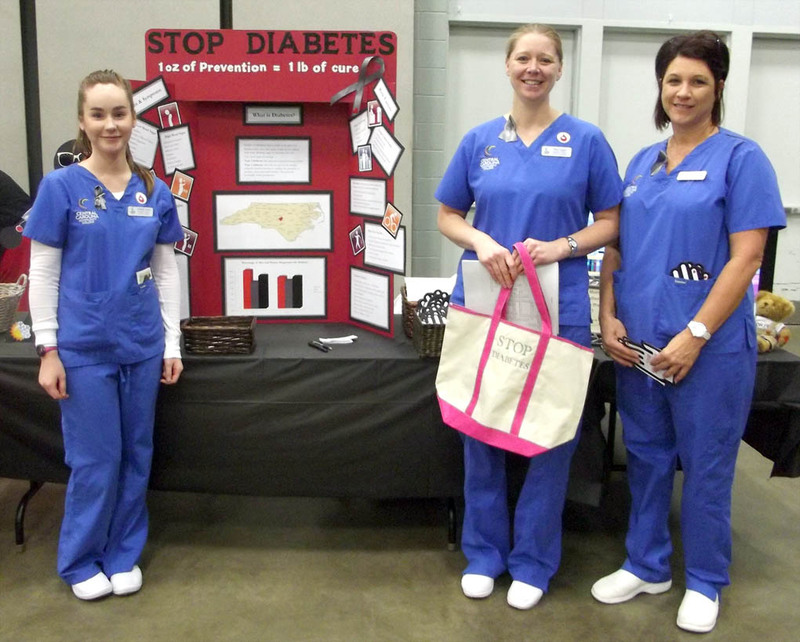 These Central Carolina Community College nursing students - Ashleigh Turner, Stacy Leggio, and Terri Dawson - greeted visitors to the "Stop Diabetes" booth at the Lee County Schools/Central Carolina Community College Employee Health & Benefits Fair on Nov. 4 at the Dennis A. Wicker Civic Center in Sanford. For more information on the CCCC nursing program, call 919-718-7461 or go to the college website at www.cccc.edu.